Can we expand our understanding of race, social justice, even history by looking to culture and the arts? Can Art Measure Human Life? Why Is the Asch Experiment Relevant Today? Bursting onto the scene with a popular TED talk, and her bestselling book The Rise—about human creativity—Sarah Lewis is the guest-editor of Aperture magazine’s instant classic “Vision & Justice” issue, which has received unprecedented press coverage. The New York Times has written a handful of features, including “Celebrating Black Culture with a Careful Eye” and “Understanding Race and History Through Photography.” The Los Angeles Times captured the mood around Lewis’s work best, with its feature, “We are bearing witness to a profound moment in black culture, Aperture shows.” The conversation—and momentum—around “Vision & Justice” and its related keynotes continues to grow. Lewis’s work won the prestigious Infinity Prize from the International Center of Photography, and is required reading at NYU’s Tisch School. Recently, it became one of Harvard’s core “general education” curriculum classes, with Lewis speaking to packed lecture halls about the role of art and artists to reshape our understanding of social justice, even history. 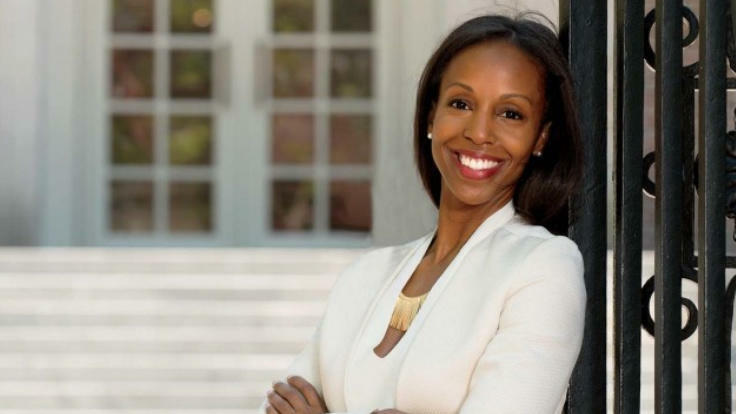 For all the accolades that “Vision and Justice” has received, Sarah Lewis is equally known for her book, The Rise, which is the biography of an idea—a big idea—that no current term yet captures. In keynotes, she discusses creative human endeavor, and how innovation, success, and new concepts are found in unlikely places. “Like Malcolm Gladwell,” Edwidge Danticat writes, “[Lewis] brilliantly takes complex ideas and makes them easy to follow, making it possible for us to see the world in a brand new way.” The Rise has been hailed by a who's who of creative thinkers. Lewis Hyde (The Gift) calls it a “welcome departure from standard accounts of artistry and innovation.” Kirkus Reviews writes: "Creativity, like genius, is inexplicable, but Lewis’ synthesis of history, biography and psychological research offers a thoughtful response to the question of how new ideas happen." In talks, she masterfully teases out this thread—how new ideas happen. Sarah Lewis is an Assistant Professor at Harvard, in the Departments of History of Art and Architecture and African and African American Studies. She has spoken on the TED main stage, at SXSW, appeared on Oprah’s “Power List,” served on President Obama’s Arts Policy Committee, and been profiled in Vogue. She has held positions at Yale’s School of Art, the Tate Modern, and the Museum of Modern Art in New York. Lewis’ essays have been published in Artforum and The Smithsonian, and her book on Frederick Douglass is forthcoming from Harvard University Press. She received her B.A. from Harvard, M. Phil from Oxford, and Ph.D. from Yale. Can art today bring about the catalytic social change that it has in the past? What is the role of the artist in shifting our perceptions, shattering biases, and creating the world we want? More than ever, we are inundated with images. Awash in them. Yet the artist alone has the power—through one iconic image, one profound gesture—to help focus our attention on what truly matters. In a bold new talk, Sarah Lewis makes a lucid and original case for art as a lever to social justice and cultural transformation. “The endeavor to affirm the dignity of human life cannot be waged without pictures,” she has written. “To be an engaged global citizen right now requires visual literacy.” Gathering in various threads—art history, technical innovation, race, photography, the story of America, and a deeply personal narrative—Lewis takes us to a place of deeper contemplation and understanding. She celebrates individual artists, invokes the collective imagination, and helps us see afresh both what is there, right in front of us, as well as what could be. Suddenly, and quite publicly, visual literacy has become a hotly-discussed topic in marketing. Carelessly borrowing imagery from the wider culture risks accusations of being tone-deaf, out of touch. The examples pile up daily. If you produce anything visual—photography, video, social media, corporate identities—there is a new challenge. How do you create iconic images while sidestepping controversy? How do you ensure your work is not called-out for a lapse in judgement, but rather for positive associations? To Harvard historian and art curator Sarah Lewis, our turbulent political moment requires “an advanced state of visual literacy.” Companies now require the ability to decode symbols and navigate the complexity of contemporary politics with savvy and empathy. Showing that you are engaged with the world, she writes, “requires grappling with pictures, and knowing their historical context with, at times, near art-historical precision.” In this sweeping talk, based on her award-winning work around “Vision and Justice,” Lewis discusses how even the casual consumer is now an expert critic: an engaged citizen who knows how to parse authenticity. Lewis answers the central questions brands must grapple with to pierce our media-saturated culture and reach audiences in a genuine way. How do we celebrate, rather than steal or appropriate, the work of artistic creators? How can we invoke the past with reverence and respect? And how might we imbue our calls to action with a sense of real gravity? With Lewis, audiences learn how to truly read, appreciate, and intelligently disseminate images—images that are arresting, convincing, persuasive, but also moral and just. This is an eye-opening, deeply moving, and wholly pragmatic look into the true force that images can play in our culture. Where do new innovations—new ideas—spring from? It’s an enduring enigma, but, in this exquisite talk, Sarah Lewis offers a new understanding of what enables creative endeavors. What really drives iconic, transformational change on both a personal and an organizational level? From Nobel Prize–winning discoveries to new inventions to works of art, many of our creative triumphs are not achievements, but conversions. Drawing on figures such as Frederick Douglass, Angela Duckworth, J. K. Rowling, and others, Lewis reveals the importance of play, grit, surrender, often ignored ideas, and the necessary experiments and follow-up attempts that lead to true breakthroughs. Smart, uplifting, and counterintuitive, this keynote will help change the way you think about creativity, innovation, and mastery: the path to success, Lewis notes, is often more surprising than we expect.